The 12th season of the Indian Premier League which will take place this year has been much awaited. During this year’s auction, Jaydev Unadkat (Rajasthan Royals) and Varun Chakravarthy (Kings XI Punjab) were both the most expensive players sold at a whopping £940,000 each. Stakes are now high up as the best teams which took their chances during the auction to finalize and ready their teams are all psyched up. 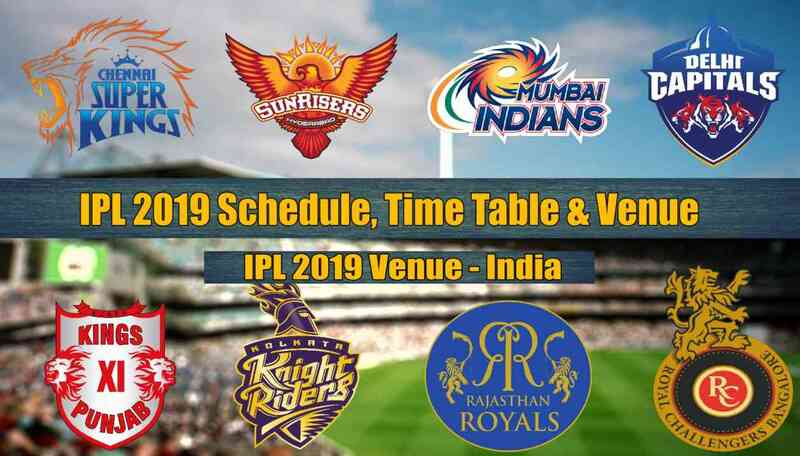 As you get ready to make your IPL match predictions, we will take you through the top eight most awaited IPL matches of 2019. The defending champions are expected to take their gameplay a notch higher this year. Having retained most of their players, CSK tells us they are content with whatever they have to face anyone. The fact that not many of their players are also focusing on the world cup gives them more time to ready themselves as this year’s top contenders. Despite the numerous changes it undergoes almost every season, Delhi Capitals (Previously Delhi Daredevils) still remains to be a struggling team. The change of name and logo doesn’t seem like a helping factor though. Frequent change of players and coaches is one thing the team does before the start of any season. This year, Delhi Capitals released 10 out of the 24 players with a hope of getting better players to guide them to victory. This is one other struggling team which tries to make ends meet by changing players. Last season, only one player was retained with a hope of getting better ones to help them clinch the title. With a star-studded team, Kings XI Punjab will be aiming for a great victory this season. Having finished 3rd last year, the KKR will want to clinch the title this season. With a great team ready for action, you bet this team will actually deliver results this time around. The boys in blue and golden colors have been some of the most competitive teams in every season. Having won the title thrice, the team will be yearning for yet another win this season especially after a loss last season after they finished in 5th place. The two-year ban made the team come back more organized with a view of getting their next win. Having finished 4th in last year’s season, the team is determined to progress even further and go for the title. With all the hype surrounding it and a star-studded team, the Royal Challengers Bangalore is yet to win the title. The 3 times runners-up did not live up to their expectations in the last season and only managed to get position 6. This year, they are more psyched up to clinch the title they’ve gotten so close to severally. Having won the title in 2016 and runners-up last season, Sunrisers Hyderabad is one team to watch out for this year. With more trained and experienced team players, the squad is expected to beat all their opponents to get to the top this season. With a number of betting sites offering nice odds, it is paramount you get your IPL match predictions based on our review, as you will have a brief idea on how the teams are likely going to perform. Past results don’t necessarily have an impact on the next results, but it definitely shows us what to expect from a team.